The experience of attending the Sunday Times Festival of Education at Wellington College is unique. First, it really does feel like a festival. A bit rock and roll for conventional educational events, delegates are encouraged to dress down and hang loose. Apparently 200 delegates took advantage of “glamping” in the grounds of Wellington. 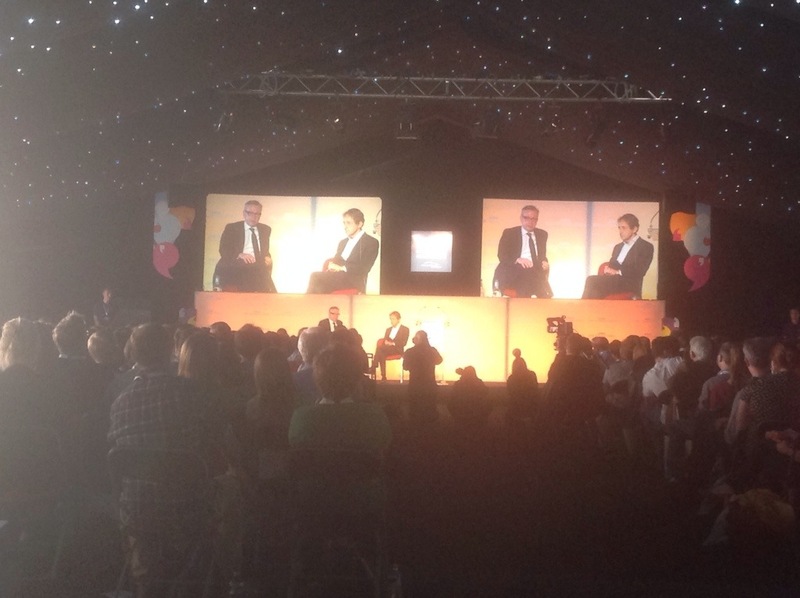 The first keynote session on Saturday morning was perhaps not as well attended as one would expect with Lord Adonis headlining – Sir Anthony Seldon put this down to “glampers” enjoying a lively party late into the previous night. Whatever the truth of this, it has to be said that the Festival is an event which galvanises real thought about the purpose of education. What is education for? What is learning for? A range of fascinating speakers addressed these and related issues over the two days of the festival. The setting of Wellington College was inspiring against the backdrop of beautiful sunshine but also a reminder of the fissure in our educational system between independent and maintained schools. This tension was a backdrop to the many keynotes and panel discussions over the course of the two days. I think everyone who flocked to Wellington appreciated the opportunity not just to listen to an eclectic bunch of speakers but also to meet delegates from diverse backgrounds. Teachers were joined by individuals working in a range of activities related to education. If the measurement of commitment to education was to be measured by the passion of the people I met at the festival then without a doubt we are in a very fortunate position in this country. Yet it was also clear that those entrusted with educating young people felt under-valued and under-mined by policies of consecutive governments. A leitmotif of the festival was that basically government should stop meddling in education. I sat in several sessions including the delayed marquee event with Michael Gove where delegates were manifestly hostile to government initiatives. Underlying such hostility was frustration that the Department for Education, directed by the government of the day, appears to enact edicts which make many teachers and schools feel emasculated and unappreciated. Yet a reality check was given by the smart and inspiring Shaun Bailey in a panel debate about state education. He made the point very succinctly that when a government department spends £60 billion on education they will take a very lively interest in how the education sector functions. It strikes me that there are layers of complexity surrounding education in schools. And – a point well made – is that until we decide as a nation on the purpose of education, we shall continue to be convulsed by conflicted ambitions and aspirations. Michael Gove is of course endeavouring to offer leadership and the removal of doubt about the purpose of schooling. Academies, Free Schools, curriculum and qualification reform are the declared policies of the current government. Yet these process driven reforms do not capture the big picture. Is there not a philosophical debate to be had as to why children are now required to be in a school setting until the age of 18? What on earth are we trying to achieve within schools with the youngsters who are our future? I can’t help but think that we are revisiting philosophical debates from the past – but until we can share a vision of education we are in real and present danger of damaging the educational opportunities of future generations. This entry was posted in Technology and tagged learning. education future on June 21, 2014 by Tricia Kelleher.